52 patients with at least one non-contained infrabony defect ≥ 3 mm and probing ≥ 3 mm were randomly treated with either Emdogain plus biphasic calcium phosphate or Emdogain alone. The primary outcome was a change in clinical attachment up to 12 months. 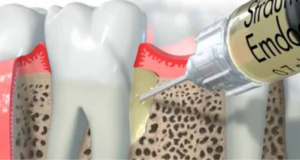 Mean clinical attachment gain of 2.38 mm ± 2.17 mm was achieved in the Emdogain plus calcium phosphate group compared to 2.65 ± 2.18 mm when Emdogain was used alone. There was no statistically significant difference between the two treatment groups. The treatment of non-contained infrabony defects with Emdogain combined with calcium phosphate did not yield statistically significant improvement compared to Emdogain used by itself. 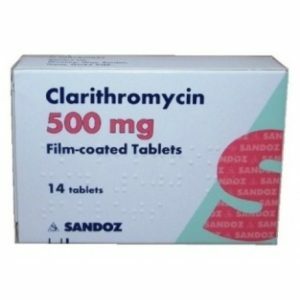 Both treatment resulted in significantly better clinical attachment levels at 12 months. Is Root Coverage Effective for Dentin Sensitivity? A systematic review of the literature regarding the efficacy of surgical root coverage at reducing cervical dentin hypersensitivity in cases of gingival recession yielded nine randomized clinical trials suitable for analysis. The primary outcome included changes in pain/hypersensitivity symptoms before and after surgical treatment. A reduction in cervical dentin hypersensitivity was reported in all studies. The mean percentage of decreased hypersensitivity was 77.83% with follow-up ranging from 3 to 30 months. The size of the effect was small in some studies and the risk of bias was considered high. None of the studies performed a correlation between hypersensitivity and percentage of root coverage. There is not enough evidence to conclude that surgical root coverage procedures can predictably reduce sensitivity. More robust studies are needed to determine the effectiveness of surgical root coverage for the treatment of cervical dentin sensitivity. There are many painful and unpleasant consequences to dentin sensitivity including food and drink restrictions. Root coverage procedure appear to decrease sensitivity but the evidence is weak. Is surgical root coverage effective for the treatment of cervical dentin hypersensitivity? A systematic review. Douglas de Oliveira DW1, Oliveira-Ferreira F, Flecha OD, Gonçalves PF. How Successful is Peri-Implantitis Treatment? A retrospective study on 382 implants with peri-implantitis in 150 patients. 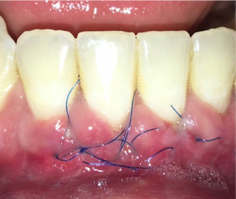 Peri-implantitis was defined as pockets ≥ 5 mm, bleeding on probing or suppuration, and the presence of radiographic bone loss ≥ 3 mm or at least three threads of the implant. The mean time between implant installation and peri-implantitis was 6.4 years. 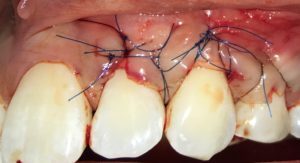 Periodontal flap surgery was the most common treatment and was performed in 47% of cases. Regenerative treatment was the treatment choice in 20% of cases. 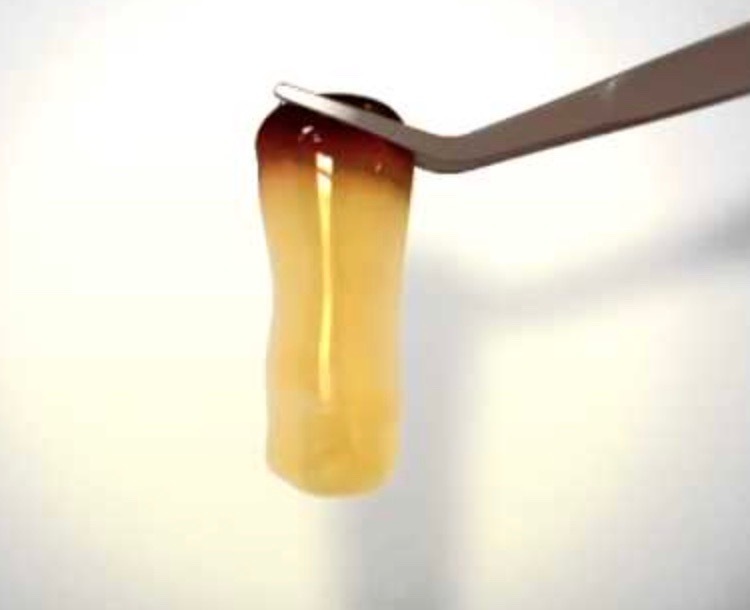 Successful treatment was defined as absence of bleeding on probing and/or suppuration and a probing depth of < 4 mm and this was achieved in 69% of patients and for 82% of implants with a mean follow-up time of 26 ± 20 months. High success rates for peri-implantitis treatment with a mean follow up of ≈ 2 years. 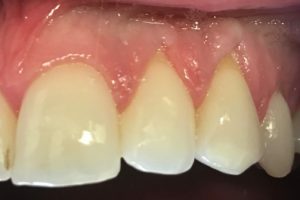 Therapy was less successful for patients with severe periodontitis, severe mean marginal bone loss around the implants, poor oral hygiene, and low compliance.